Winter Apparel: Retailers will be gearing up for spring, and marking winter apparel on clearance (and March too) to make room for new inventory. Pair clearance items with coupons to get even better deals! Appliances & Furniture: Over Presidents Day weekend is a great time to find a lot of deals on appliances, furniture and more as new models and pieces are coming out soon. Tax Software: Not very glamorous, but tax software is cheaper earlier in tax season than later. Jewelry: Valentine’s Day brings large mark ups in Jewelry because of the high demand. 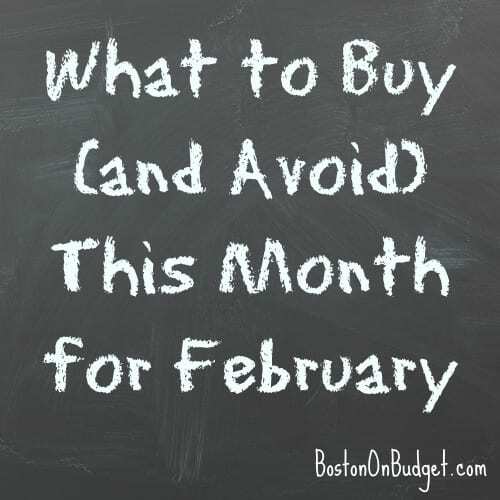 Luggage: A lot of trips to warmer weather makes February a bad month to buy luggage. 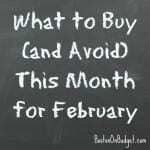 Do you have any suggestions of items that are a great deal (or terrible deal) for January? Do you agree with this list?